This press is a redesign of the 219 Old Style introduced in 1927. 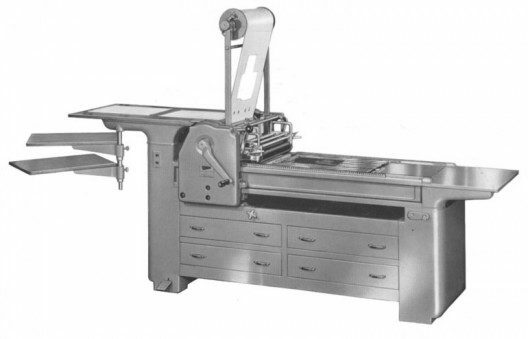 Power driven ink distribution and two swing-out paper shelves under the feed board was standard. Optional features included an adjustable bed and power carriage and automatic frisket/tapes tower Thus, the new style 219 NS may be further designated as 219 AB, 219 P or 219 AB P. Maximum form: 18 × 24″; maximum sheet: 18 ¾ × 28″. In all, there are nearly 50 hand-cranked 219s and a half dozen power carriage models listed in the Vandercook census.